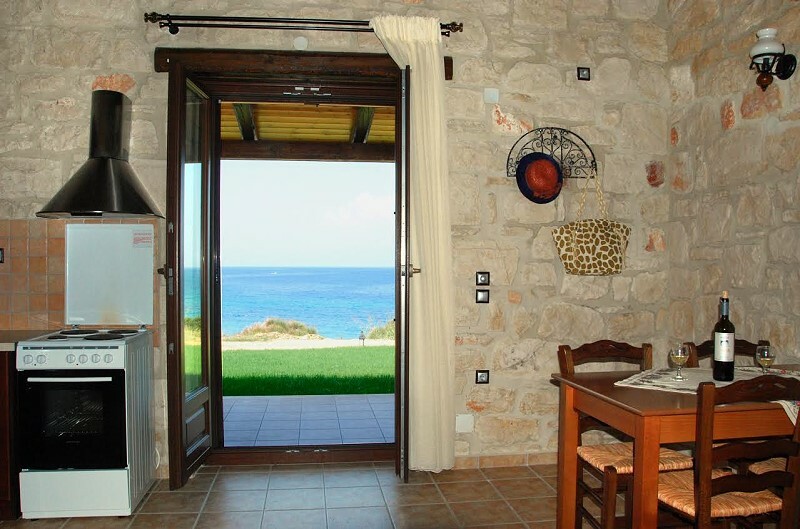 : Maistros, Levantes, Aggeliki, Tzogia, Dario, Pigi, all with splendid sea views. 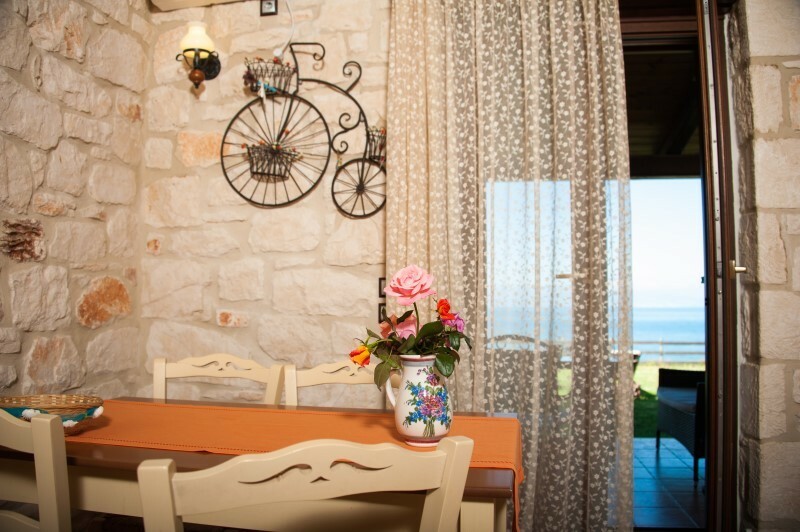 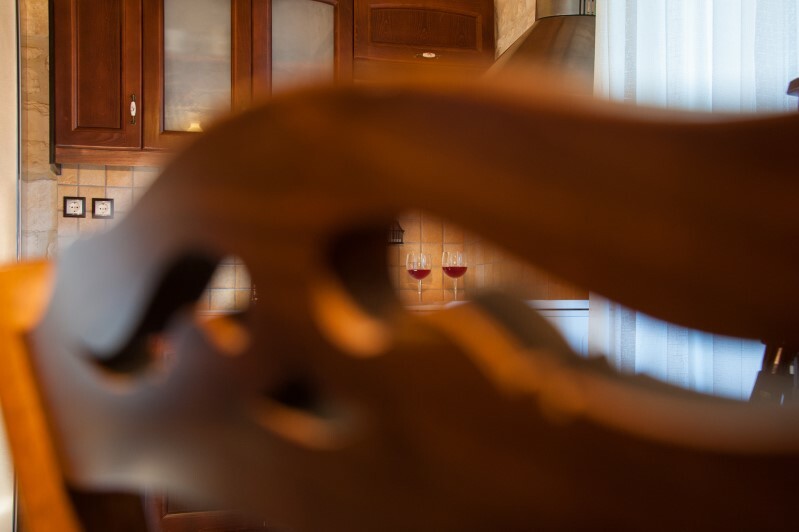 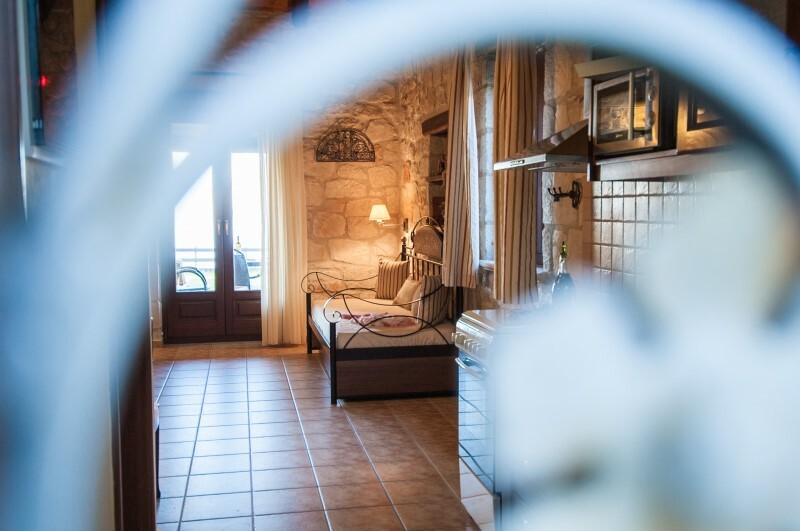 All of our Villas have direct sea views not only from their balconies but also from the inside of the Villa. 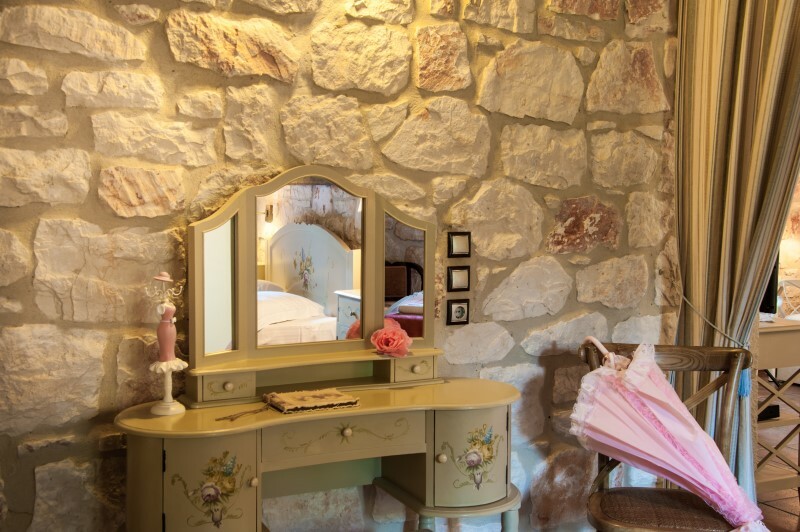 They are built in the traditional way and are totally made from local stone and wood. 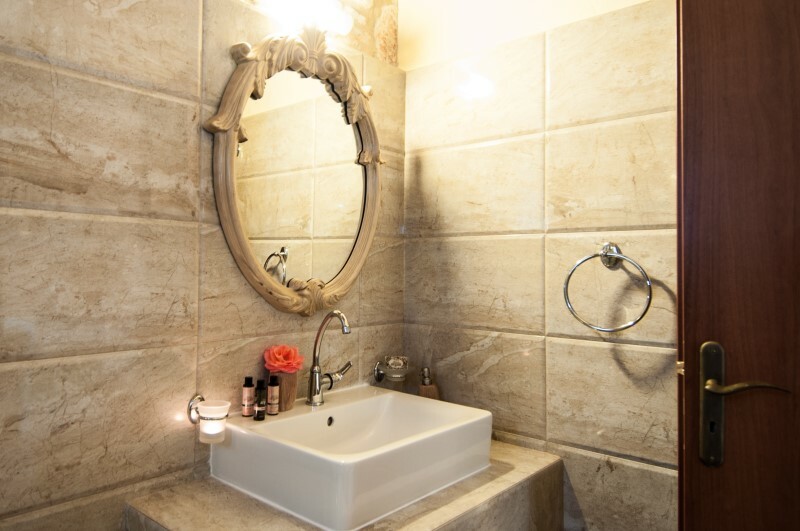 They are luxurious constructions made with care to the details and are suiting very nice with the local natural environment. 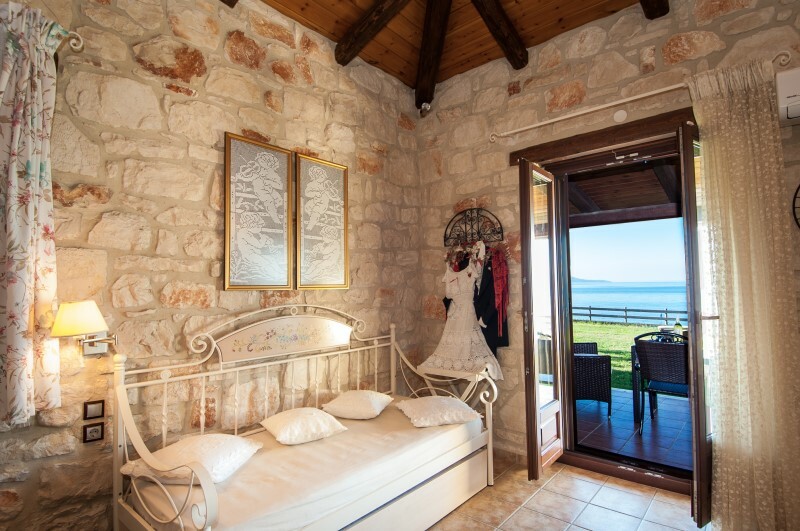 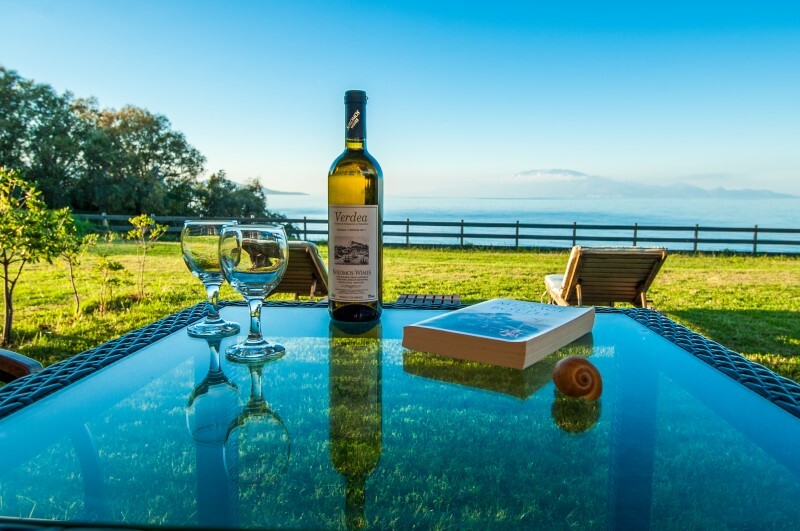 Each villa is very spacious (55m2), consists of two rooms: bedroom with double bed, big living room with two sofa beds, fully equipped kitchen and large furnished veranda with excellent sea view. 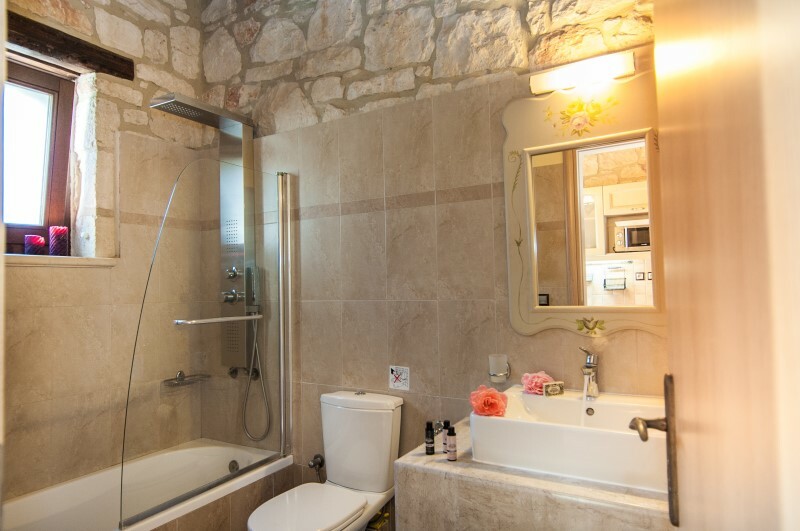 It has a large bathroom with bathtub with Hydromassage column. 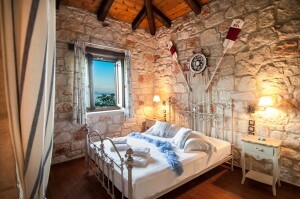 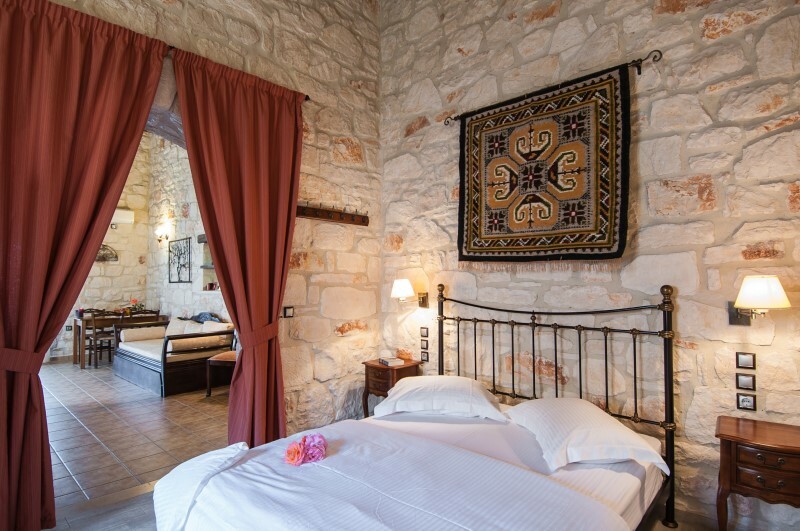 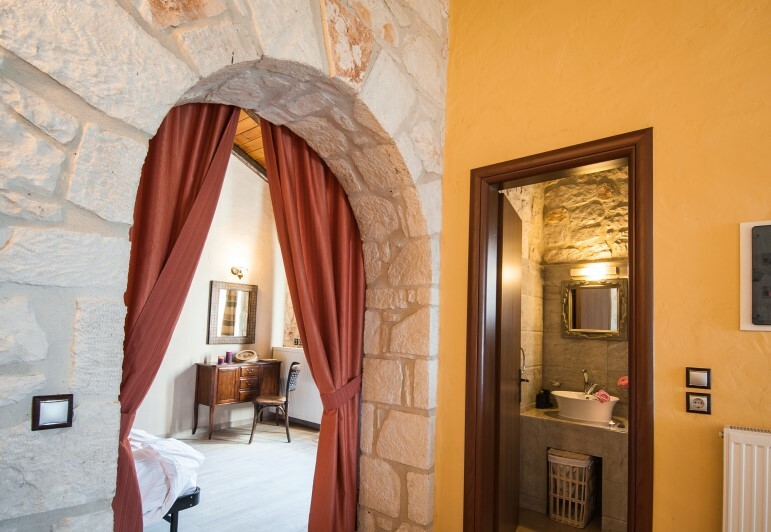 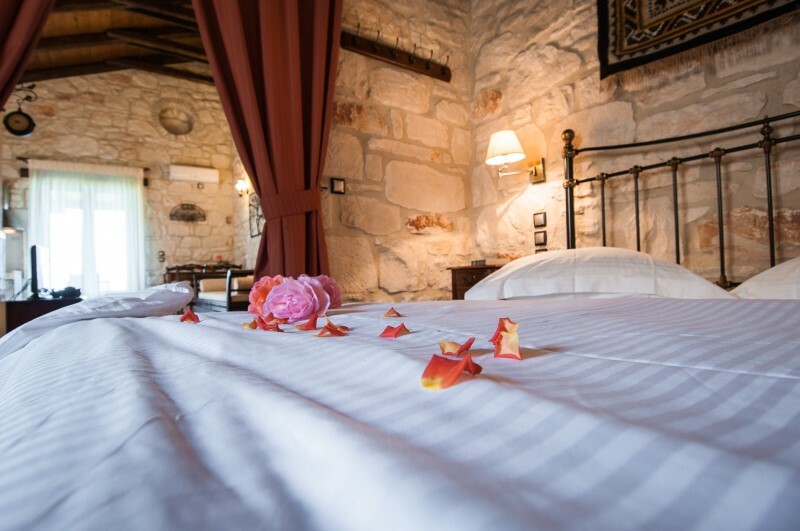 Each villa can accommodate very comfortably 4 persons/adults having also the capacity to add extra bed and baby cot. 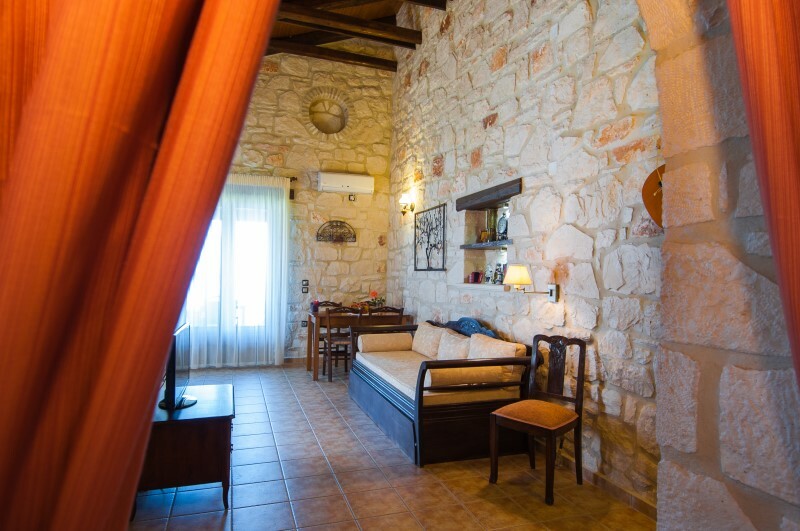 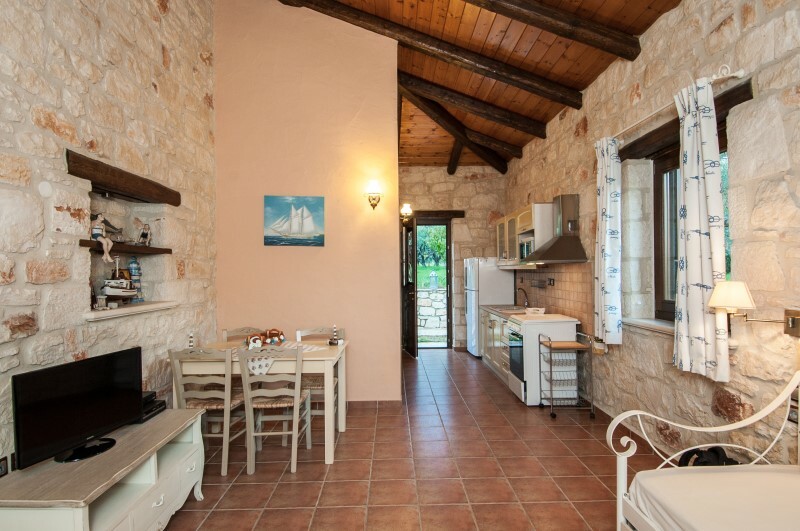 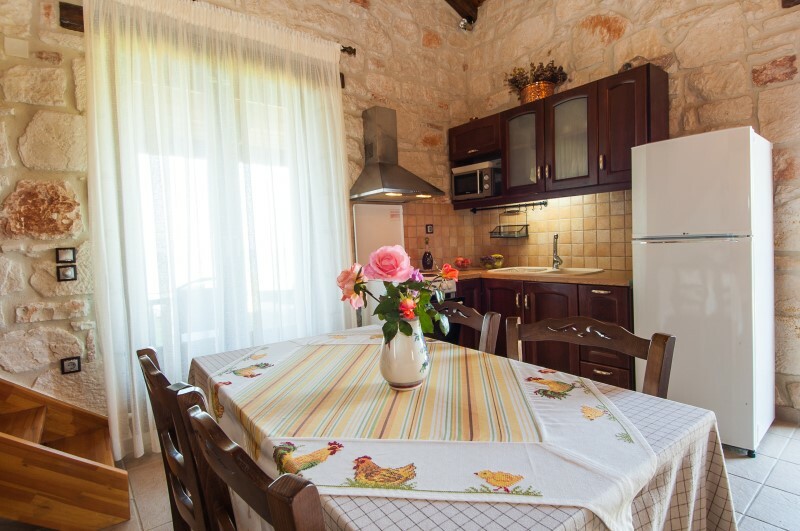 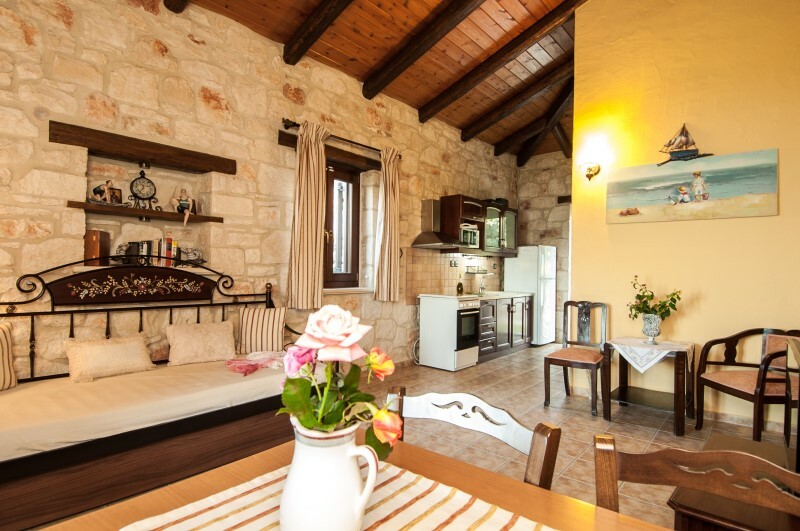 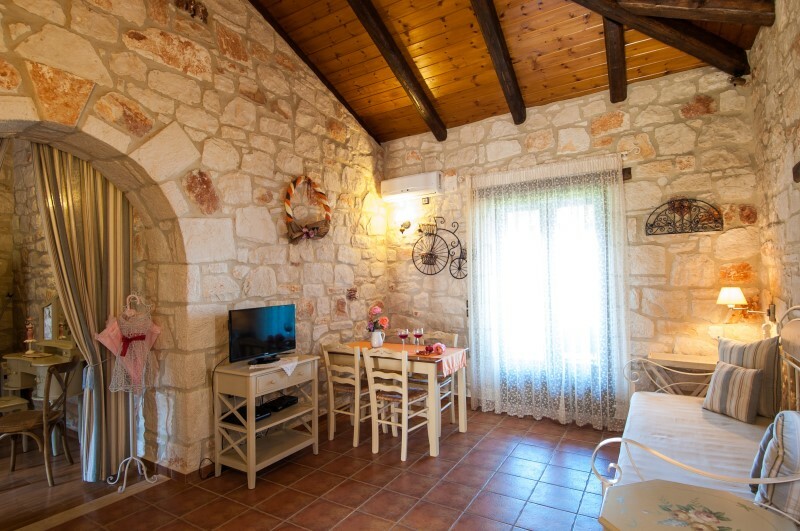 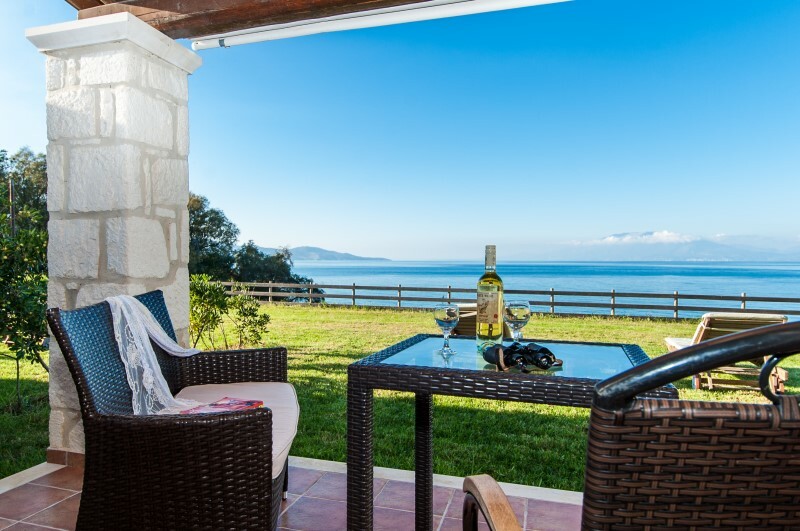 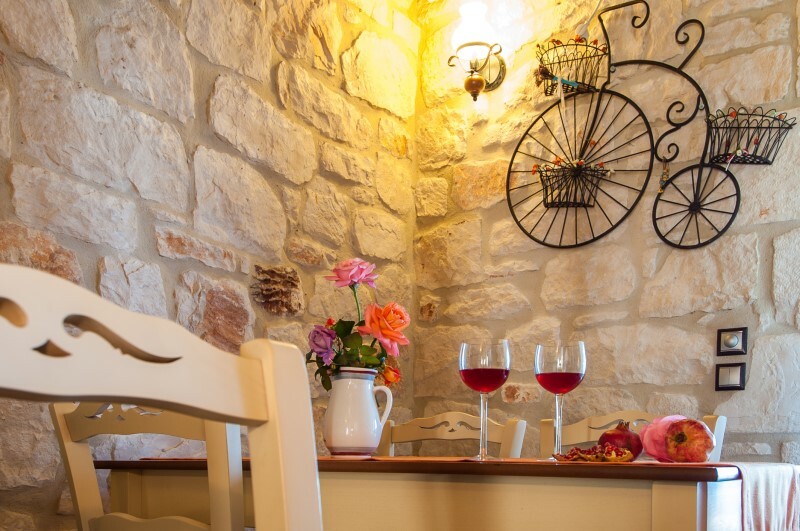 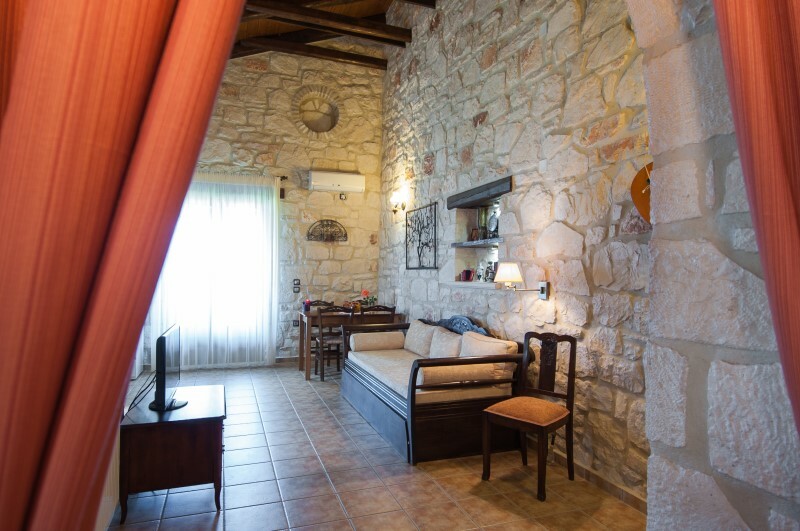 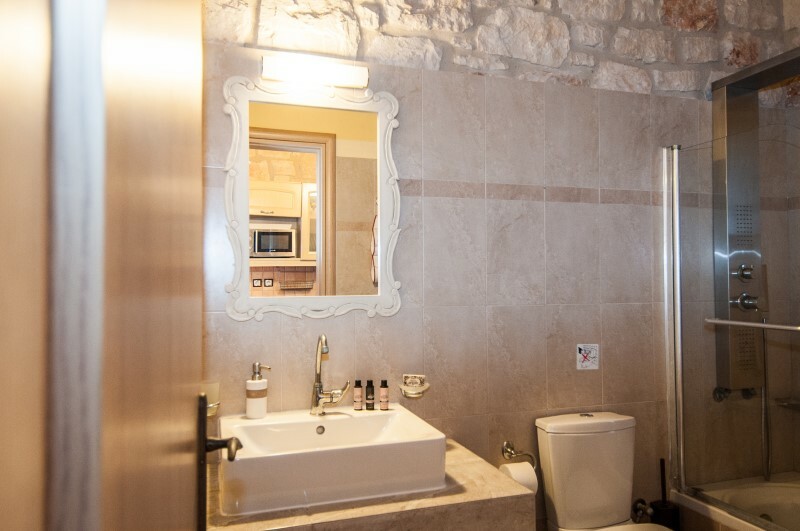 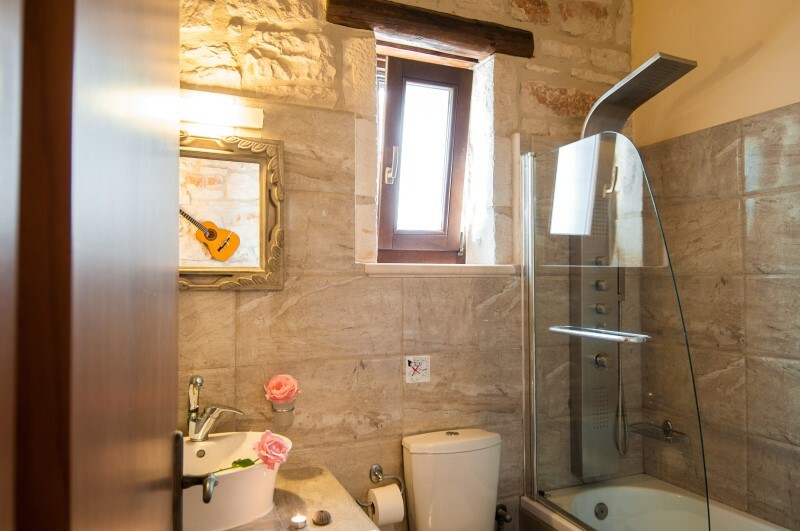 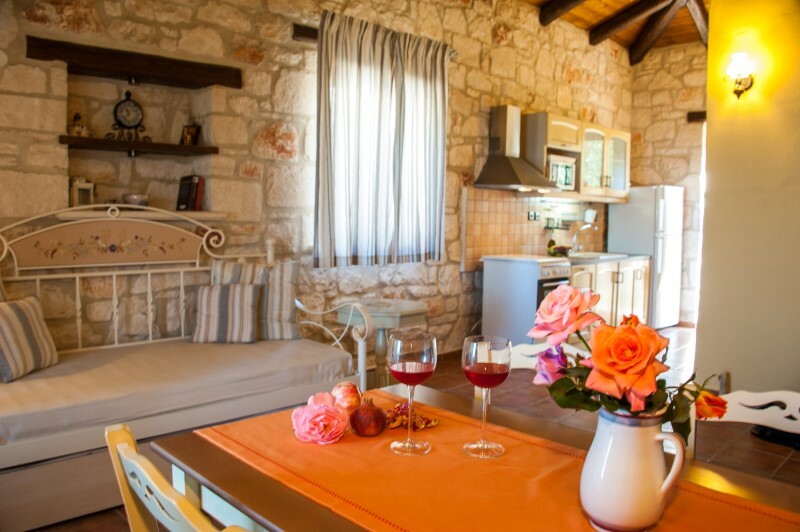 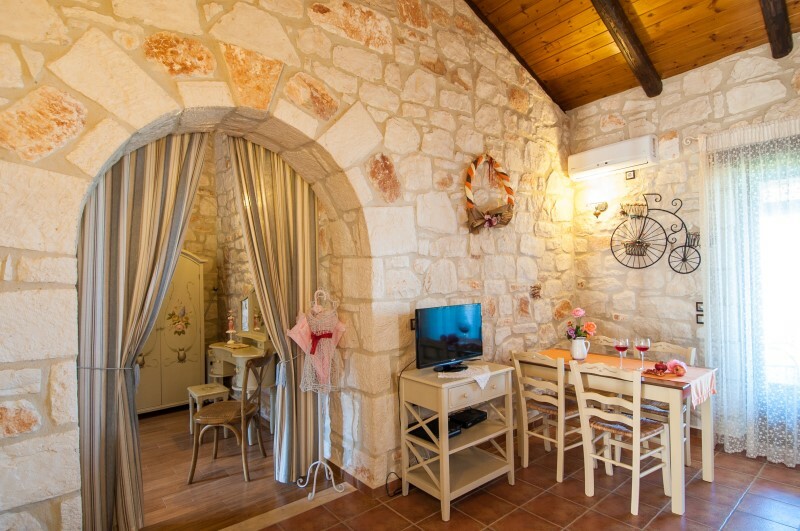 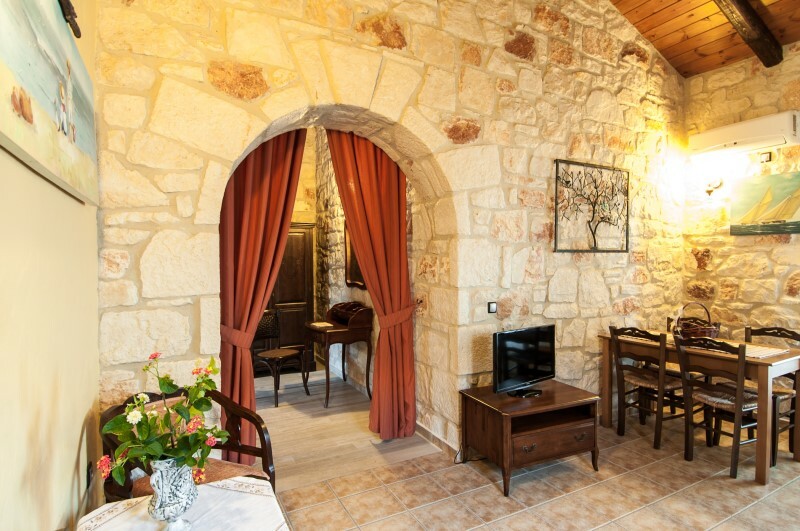 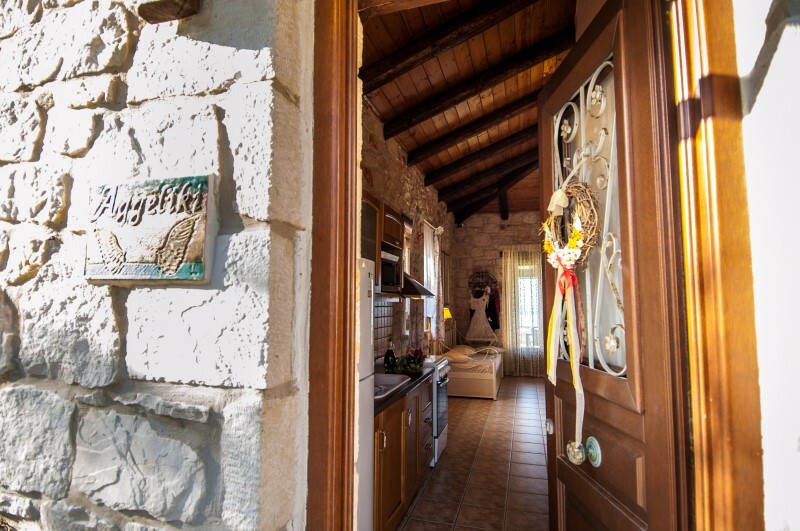 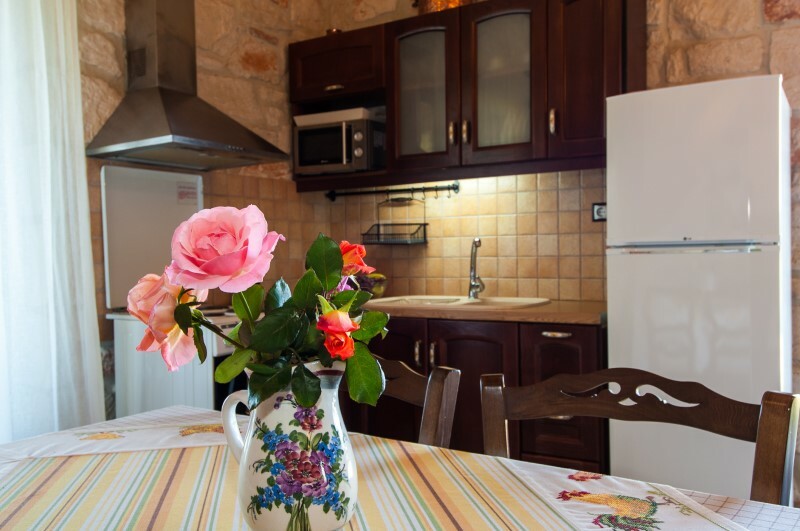 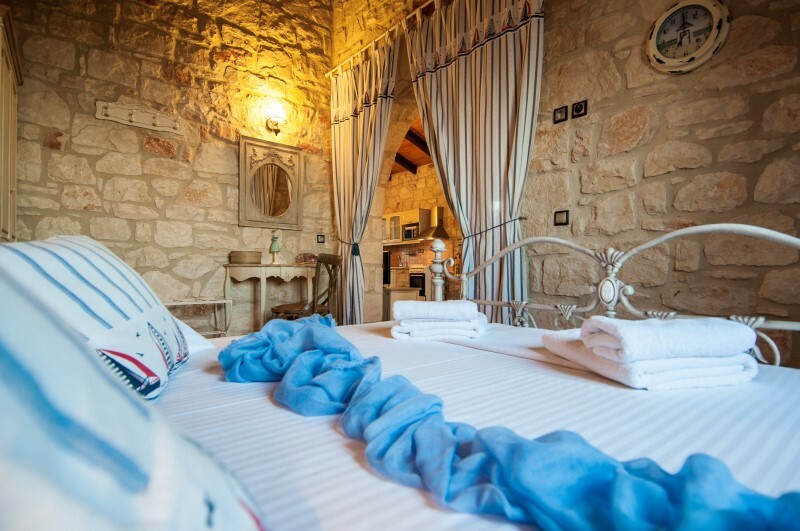 Villa Pigi is spacious (65m2) with two bedrooms and can accommodate up to 7 people. 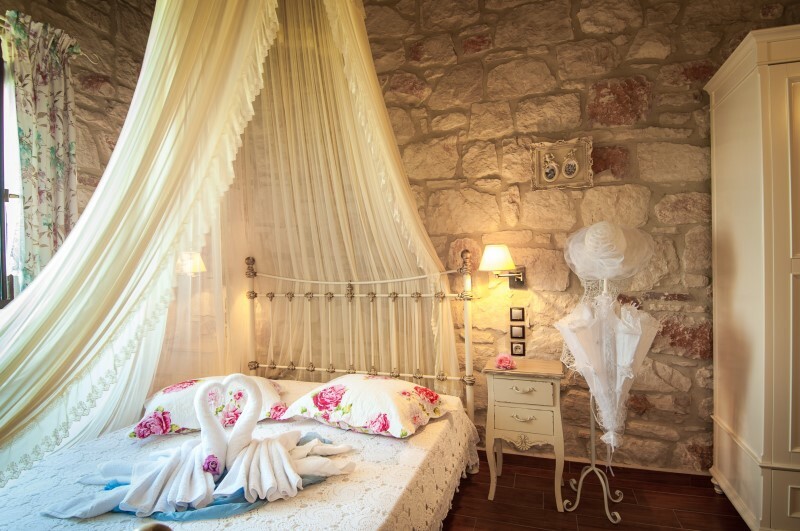 Beds are provided with high quality mattresses for nice and good quality of sleep. 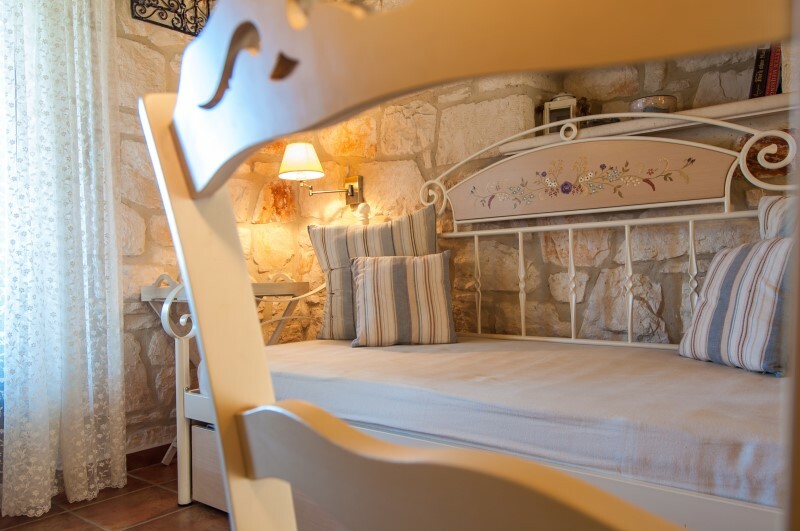 For families with babies we can provide you also with baby-cots. 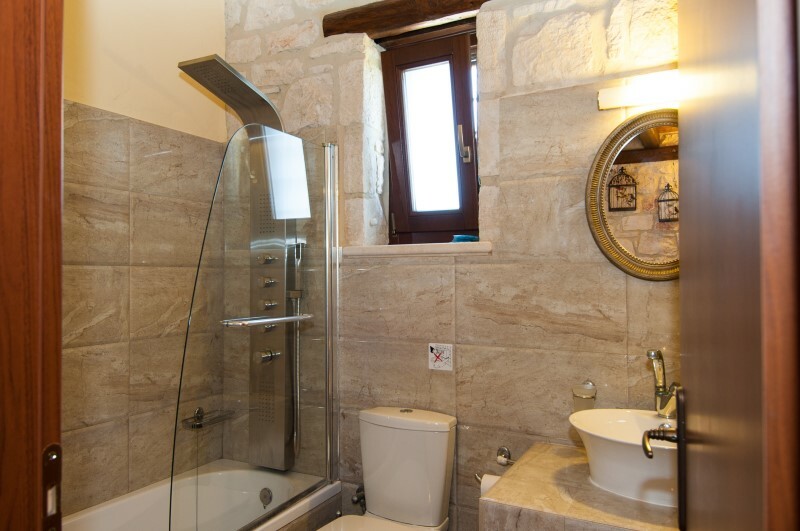 Villas are also equipped with superior quality door and window frames, providing special sound and water proof. 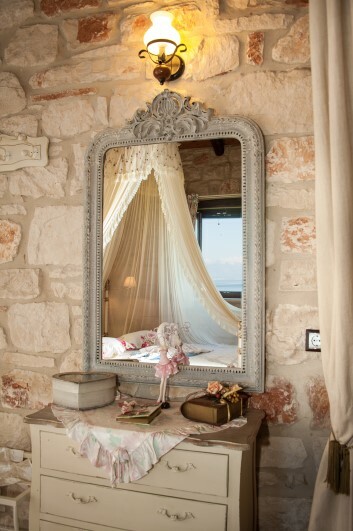 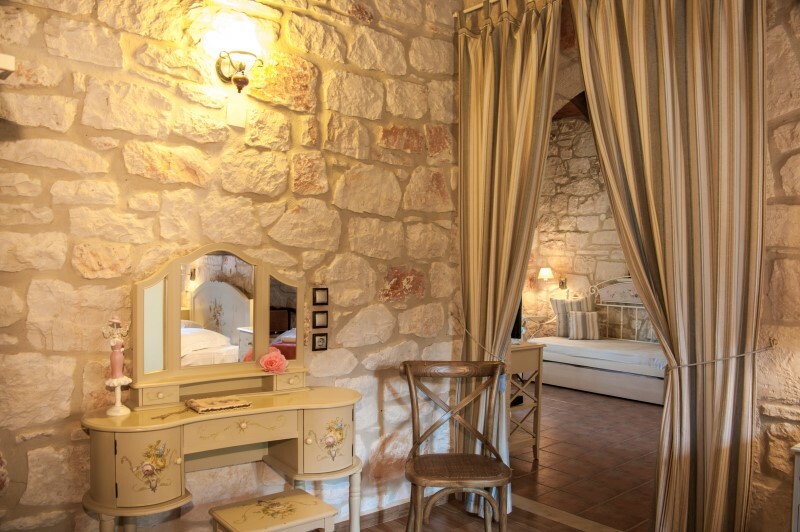 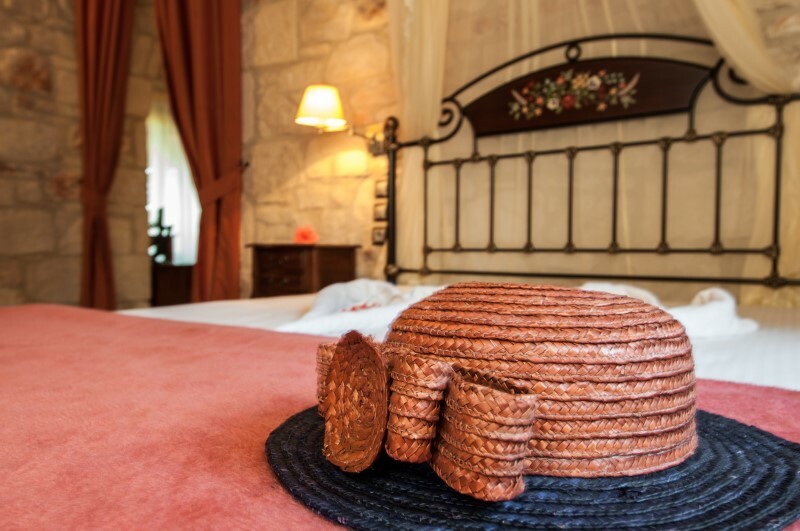 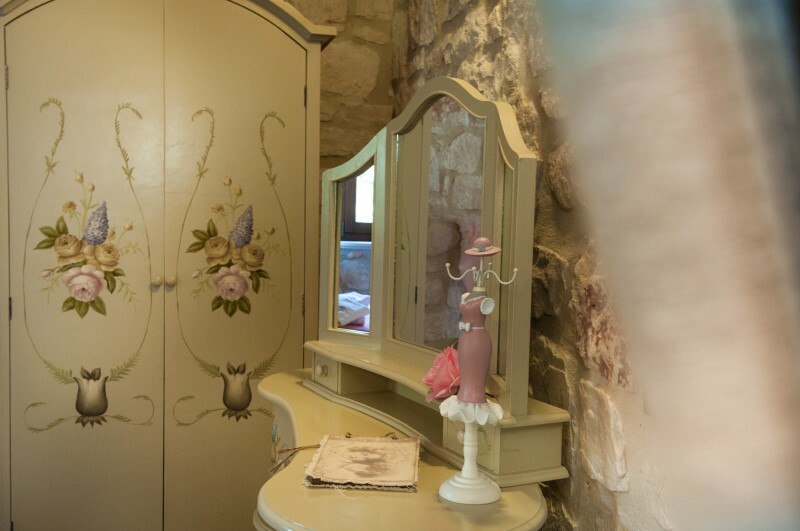 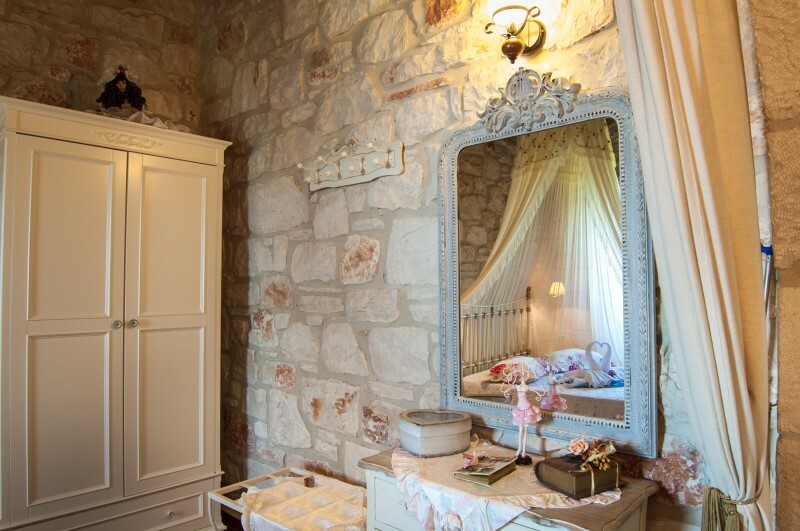 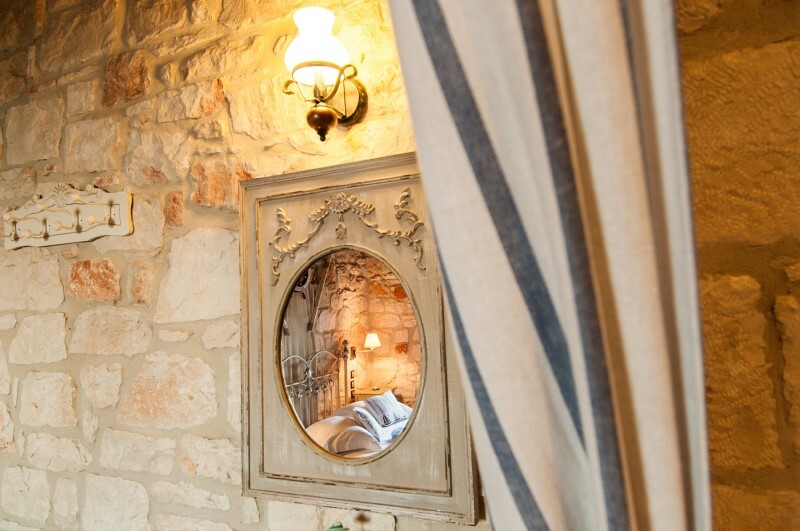 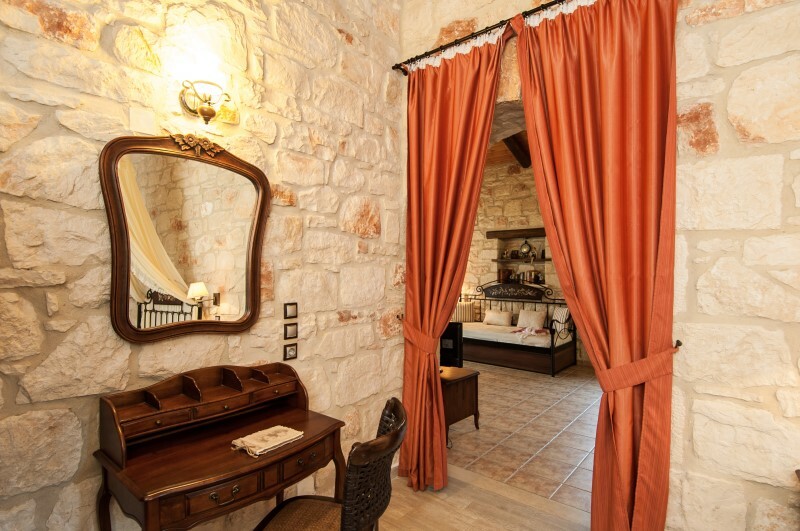 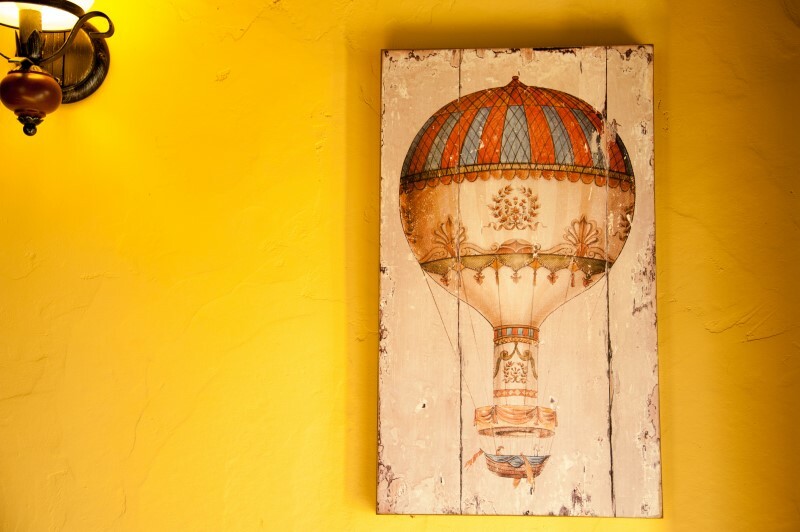 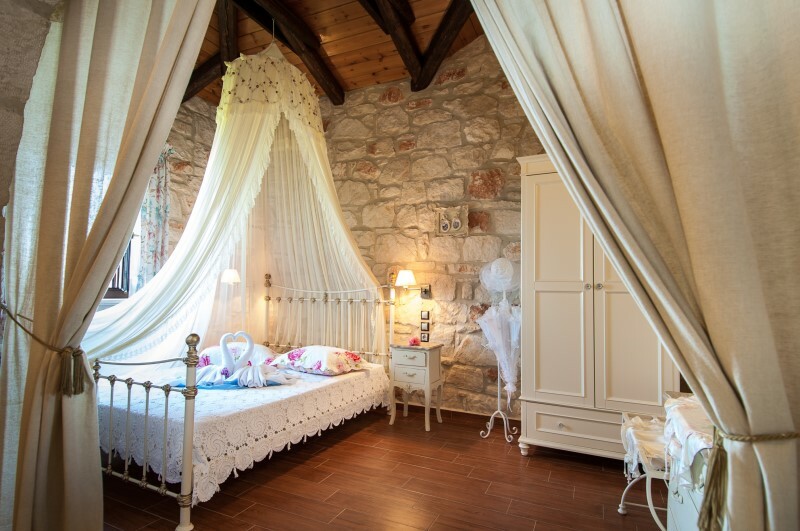 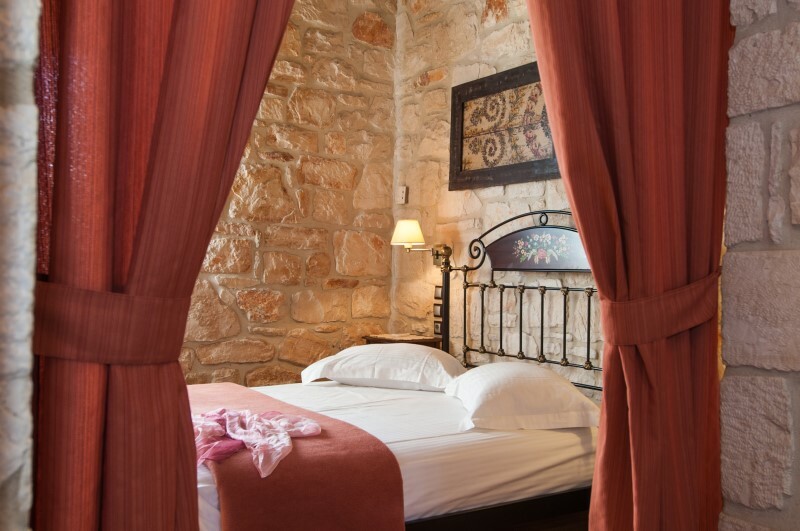 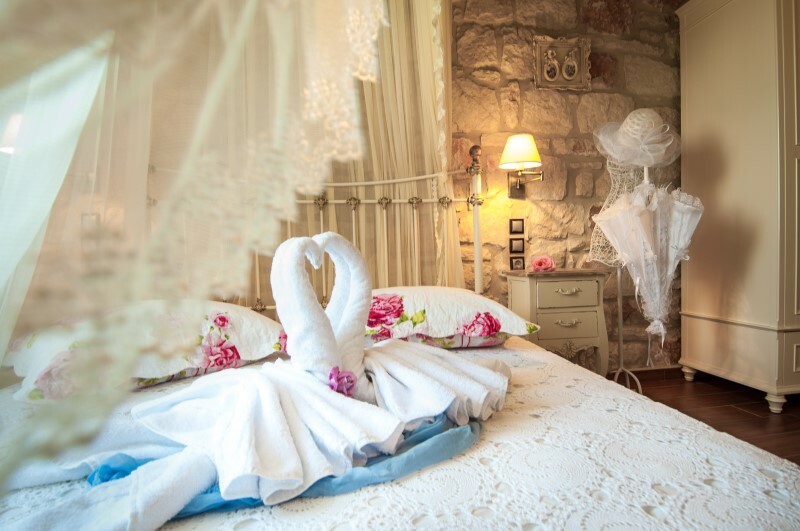 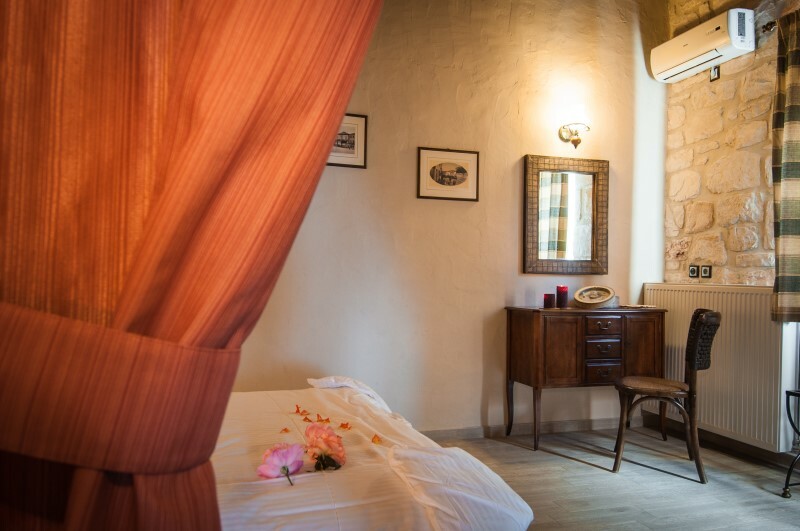 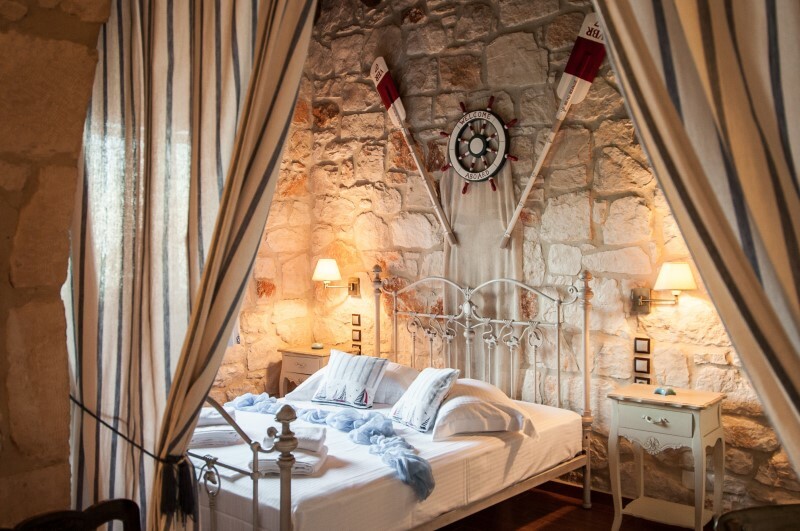 Decoration and Furnishings are made with special care focusing on traditional and romantic style. 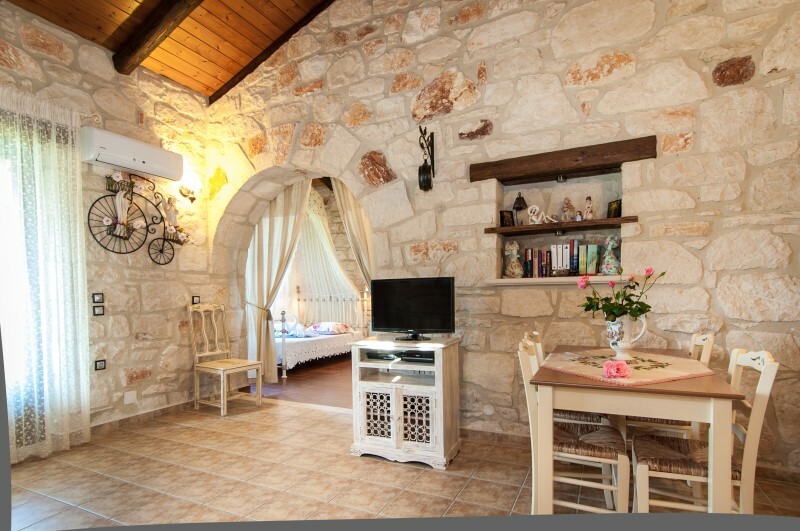 Villas are fully equipped with Air Condition individual operated units and multi Channel Satellite TV with LCD screen and CD/DVD. 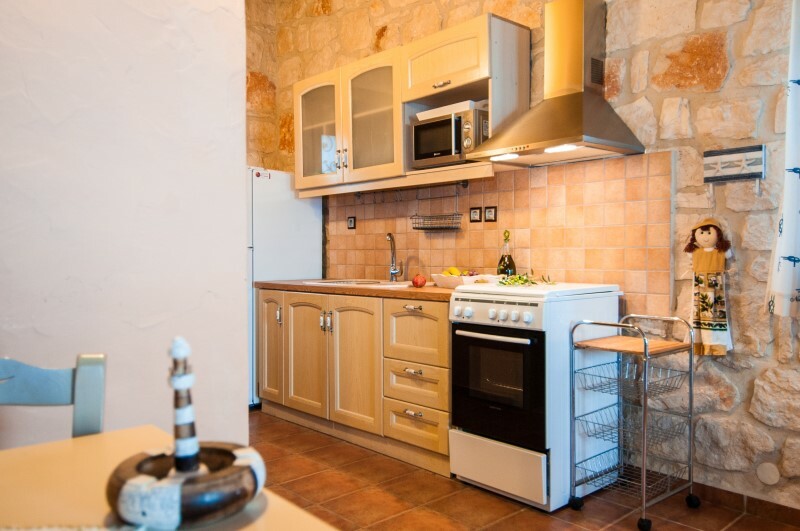 They have fully equipped kitchen with electric cooker with oven, air extractor, microwave, large fridge, kettle, coffee machine, toaster and all the utensils. 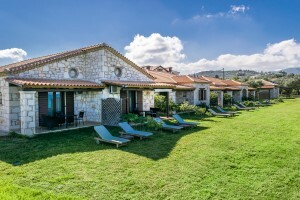 Villas are surrounded by big garden with grass. 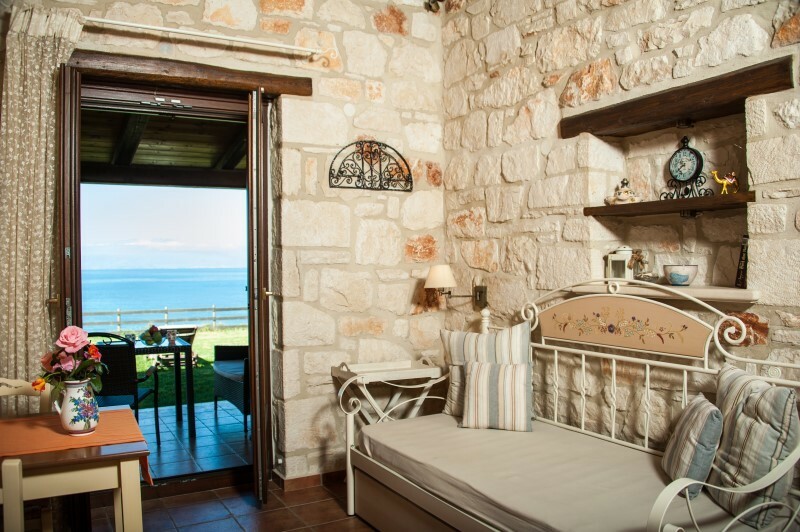 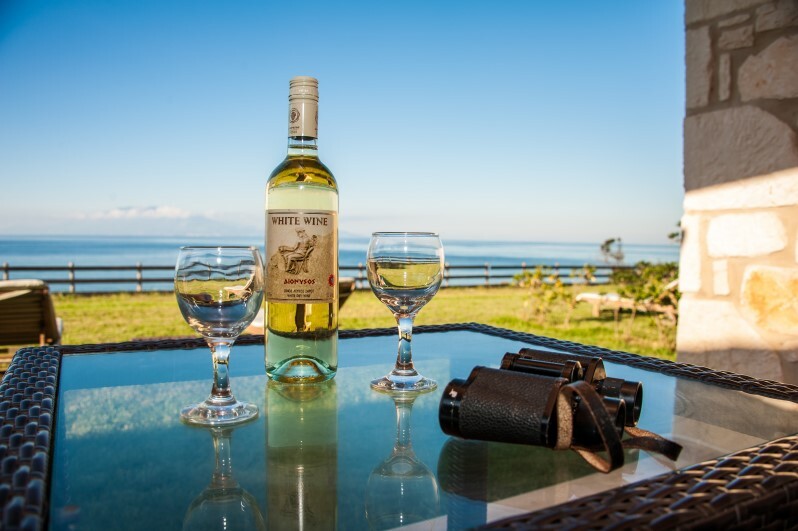 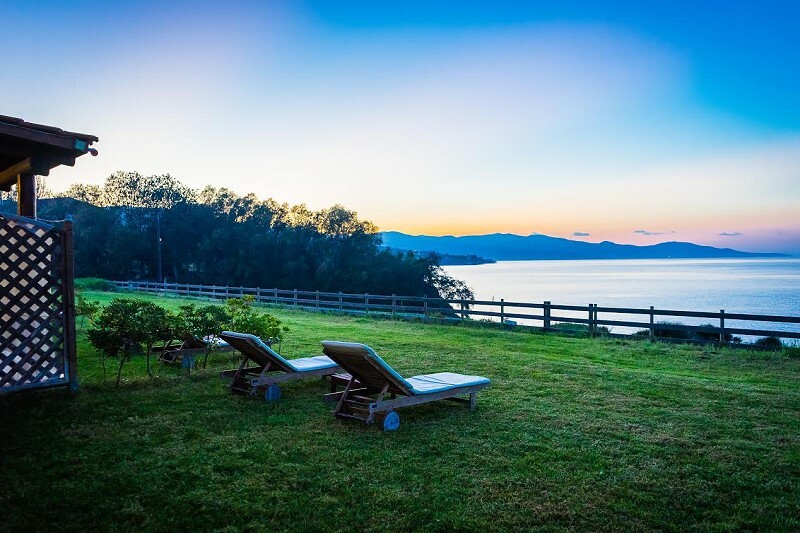 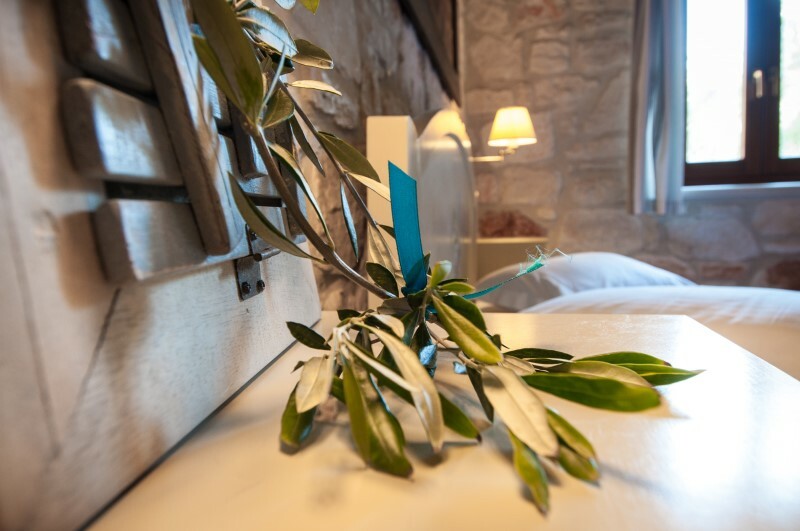 Our accommodation is the perfect place for people that they love nature without compromising their comfort. 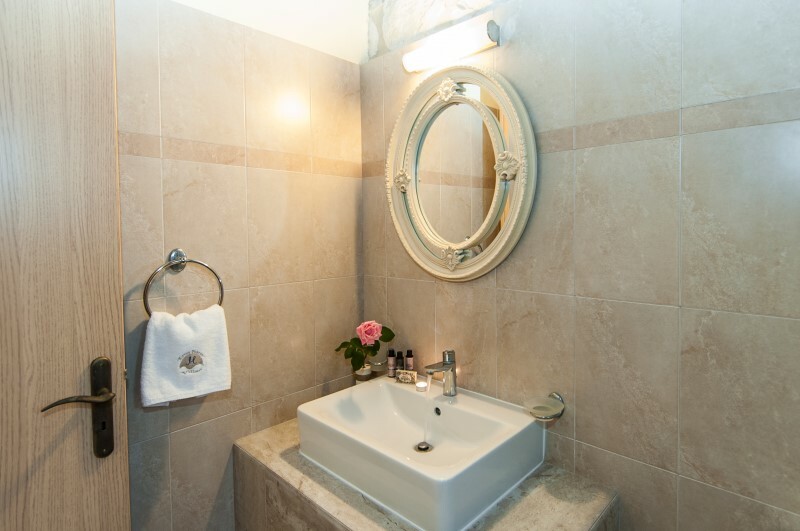 Every day cleaning, 24/7 hot water by individually operated boiler, bath towels, linen changed twice a week, towels can be changed more often upon request. 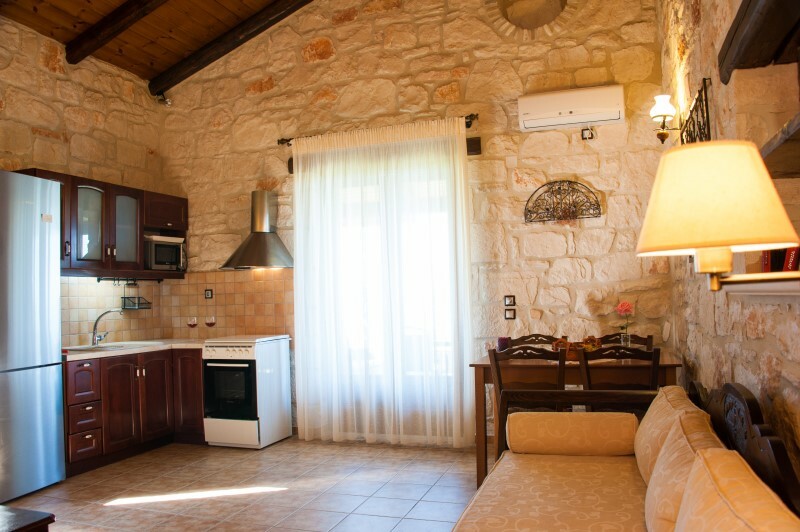 Hairdryer, kettle, coffee machine, toaster, microwave, safe box, Satellite TV and DVD player. 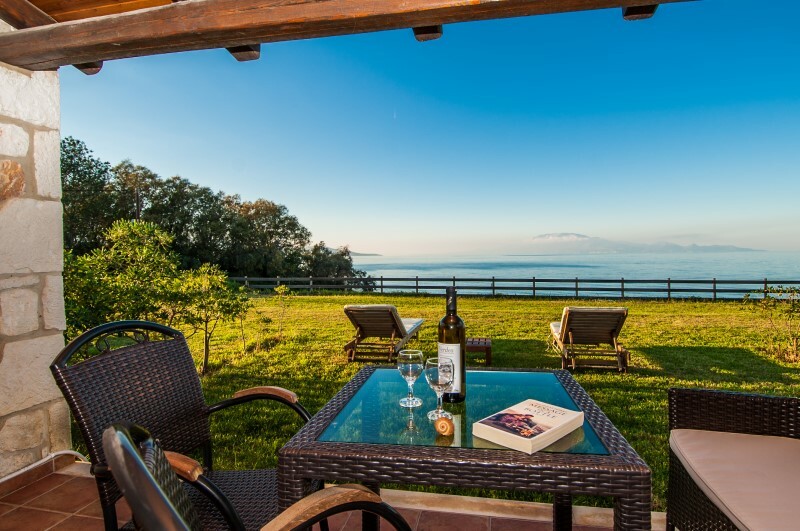 Maistros (up to 5 persons): The name of that Villa is given from Maistros, a North West refreshing wind very characteristic of the region. 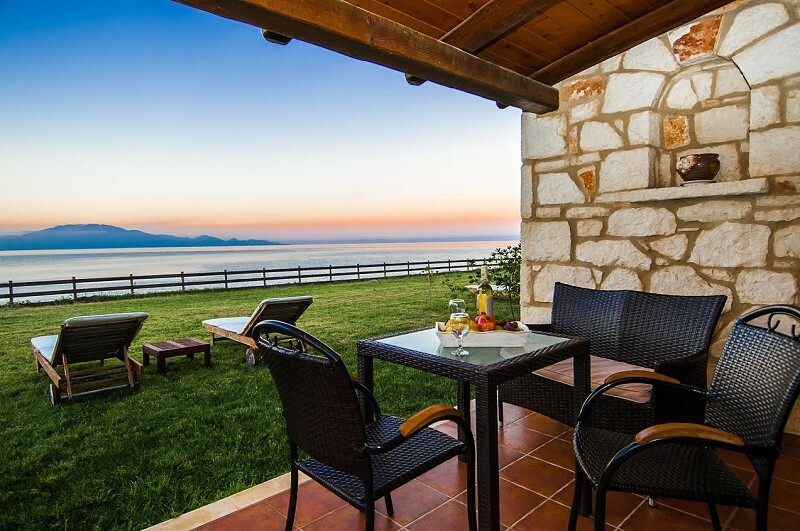 Levantes (up to 5 persons): The Venetians that ruled Zakynthos for several years, they were calling Zakynthos "Fior di Levante" (Flower of the East) and that's from where comes the name of that Villa. 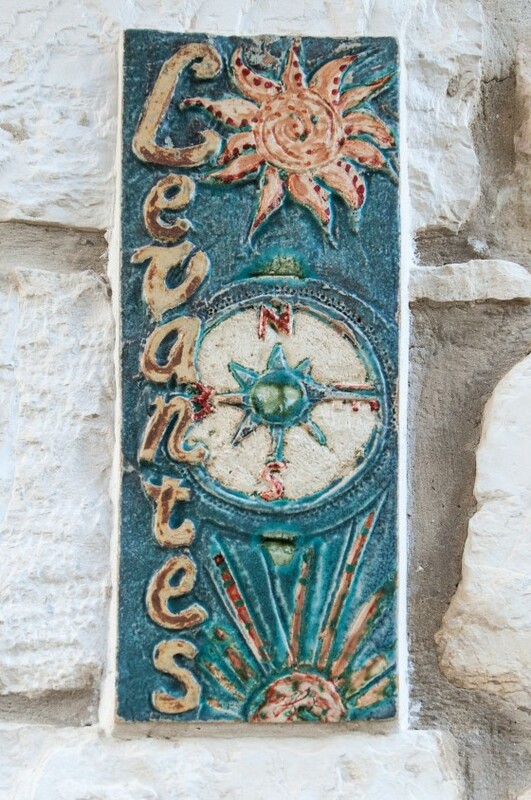 Levantes is also the name of a wind coming from the East. 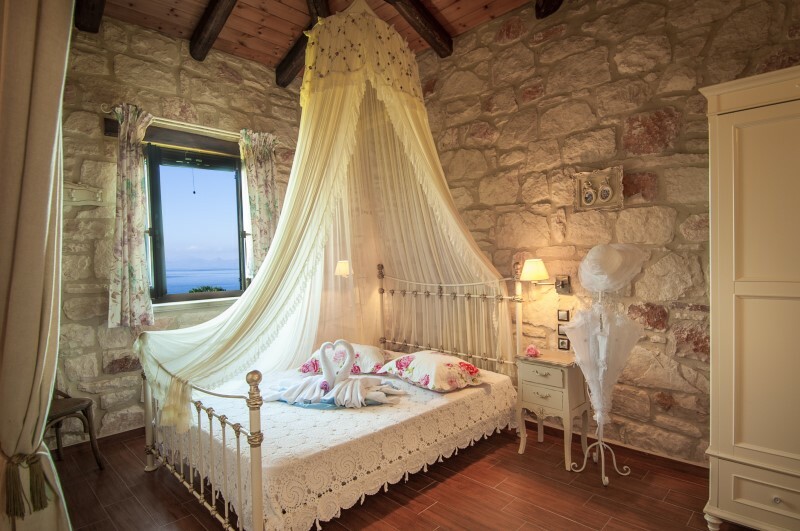 Aggeliki (up to 5 persons): That Villa is named under the name of the mother of Biskinis family. 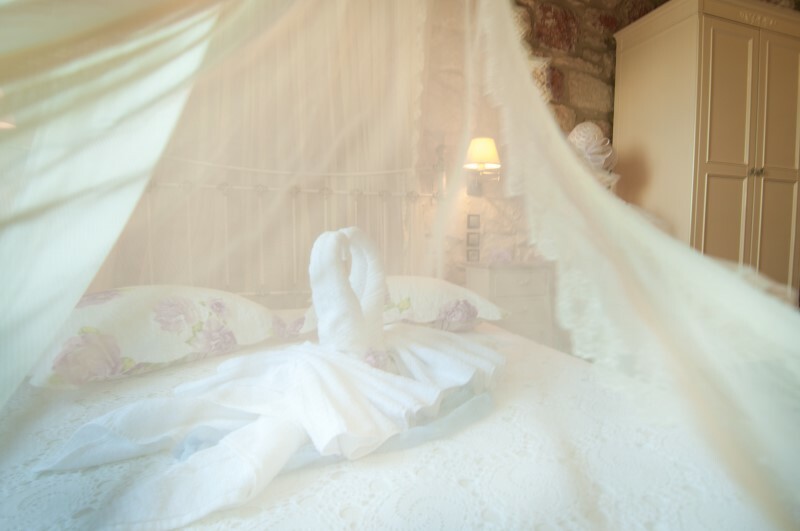 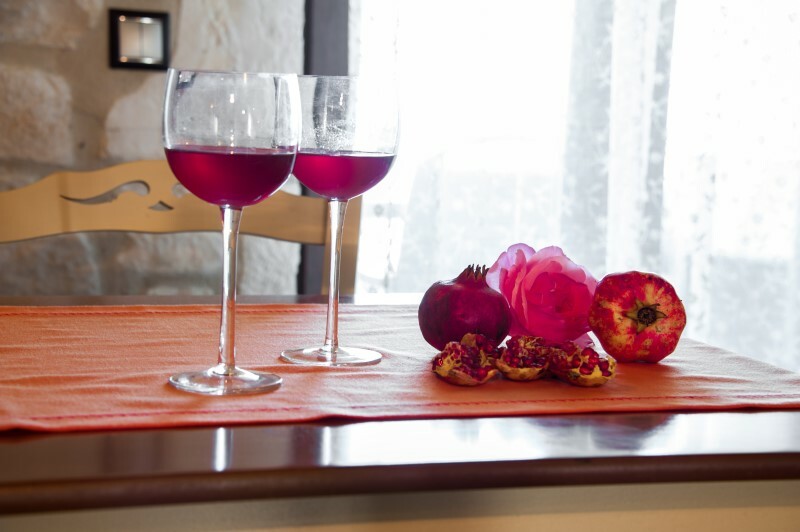 Is also ready to welcome newly married couples and honeymooners. 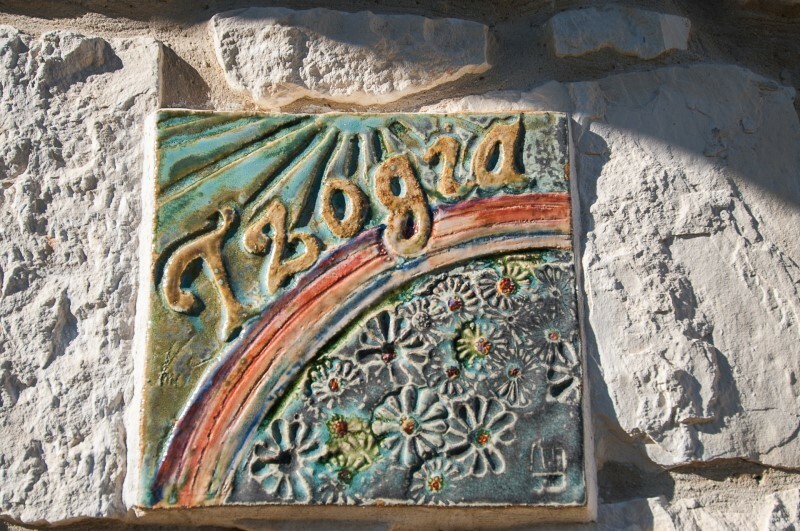 Tzogia (up to 5 persons): Tzogia means pleasure and is a characteristic word of the local dialect, coming from the Italian word "gioia". 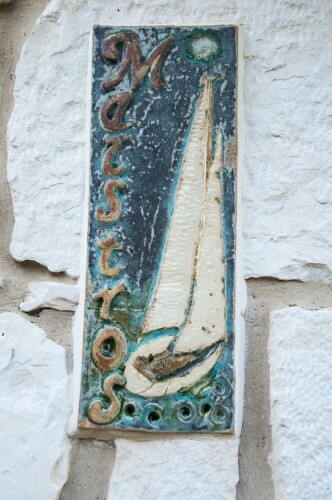 It is one of the plenty Italian words used in the Zakynthian dialect as a result of the presence of the Venetians in the island for several years. 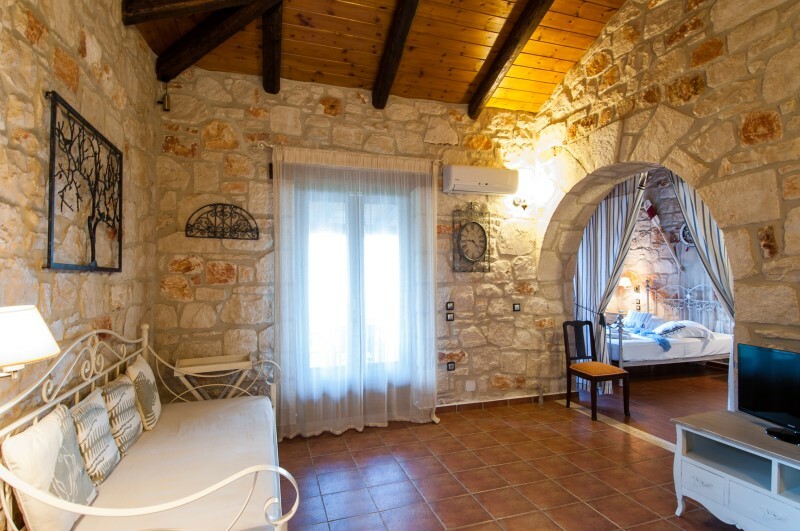 Dario (up to 5 persons): That Villa is named under the nickname of Biskinis family grandfather, Nikos Biskinis, and it comes from a famous Italian singer of old times. 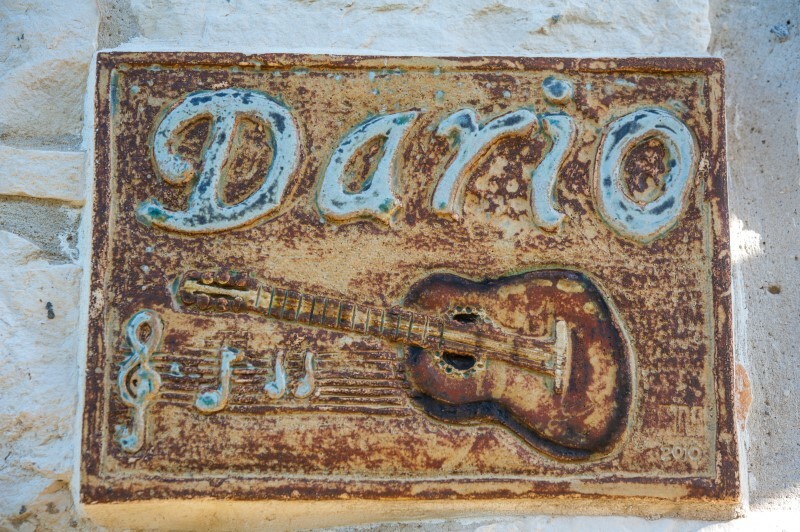 The other villagers used to say that Nikos Biskinis was singing like Dario and that is why they gave him this nickname. 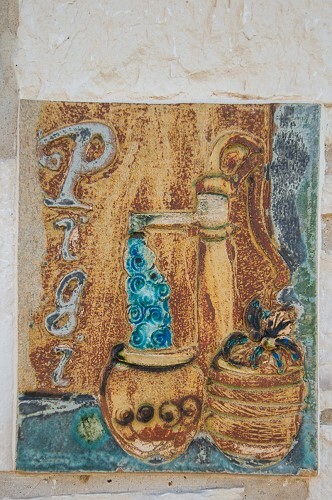 Pigi (up to 7 persons): Pigi means spring in Greek and was the name of the Biskinis family grandmother. 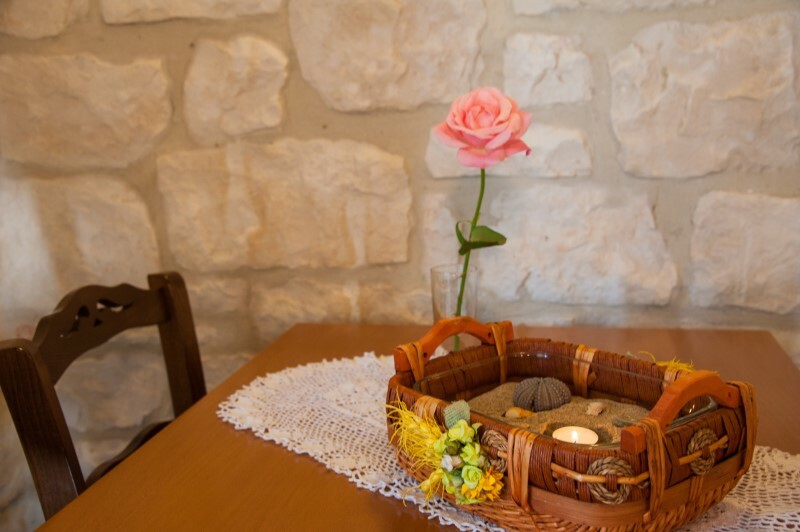 It is also characteristic for our region that has plenty of underground water and many springs. 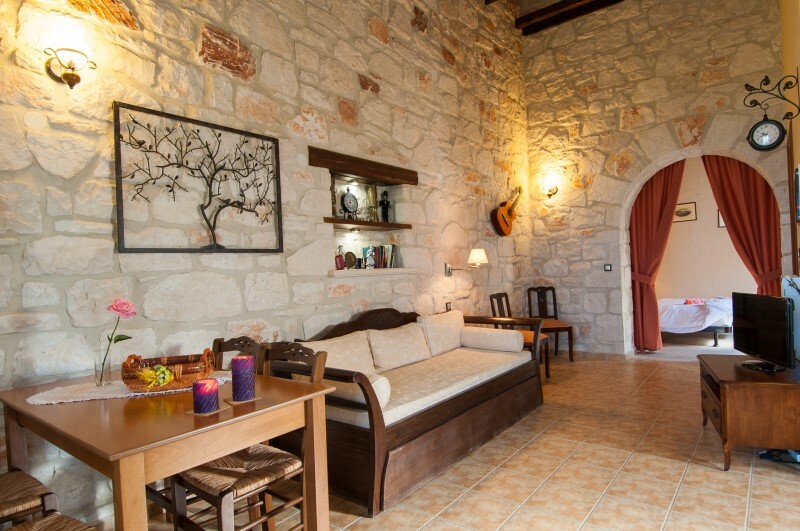 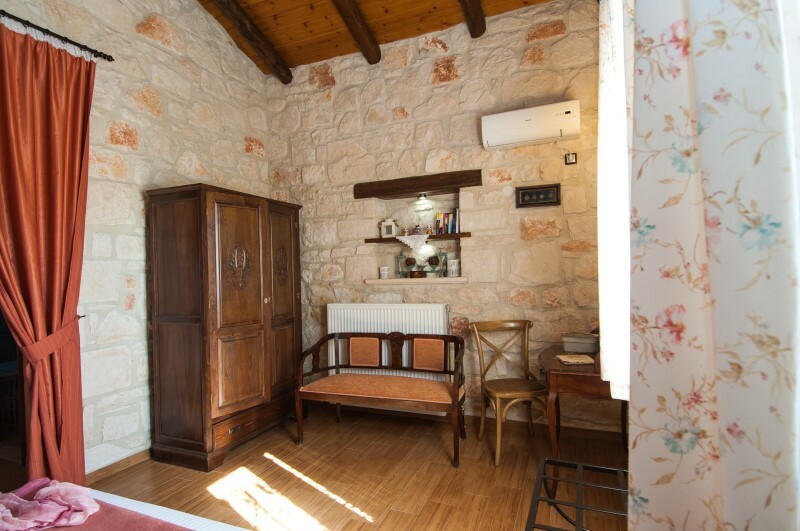 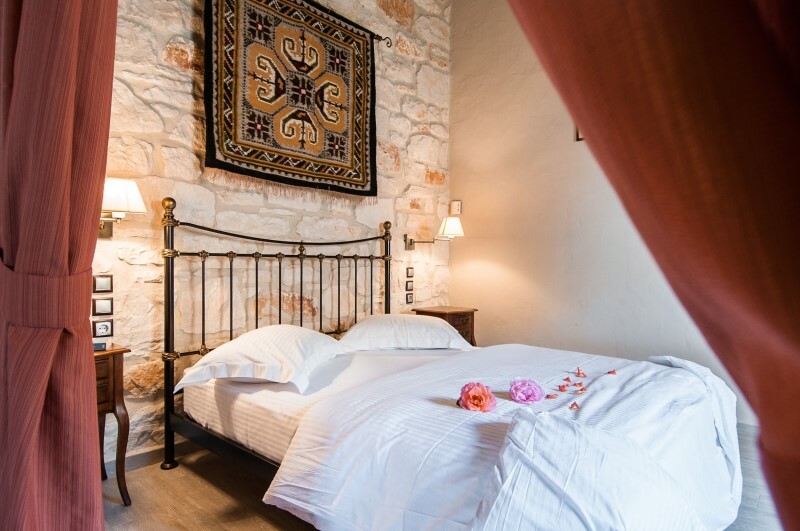 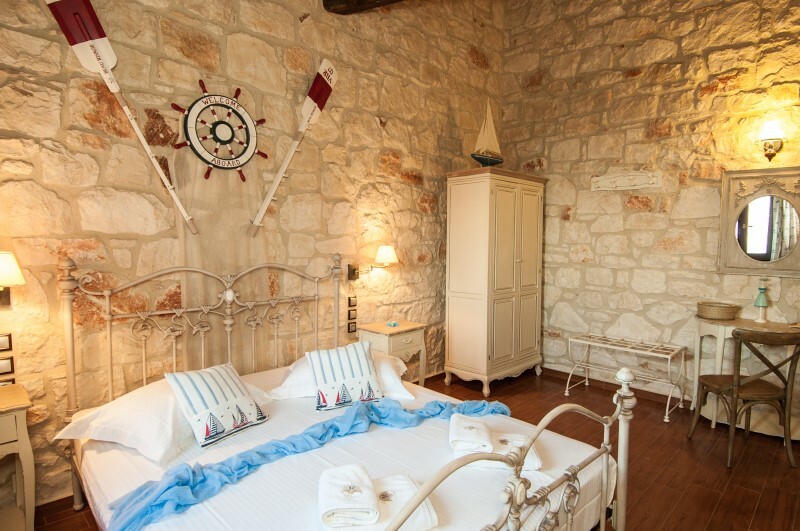 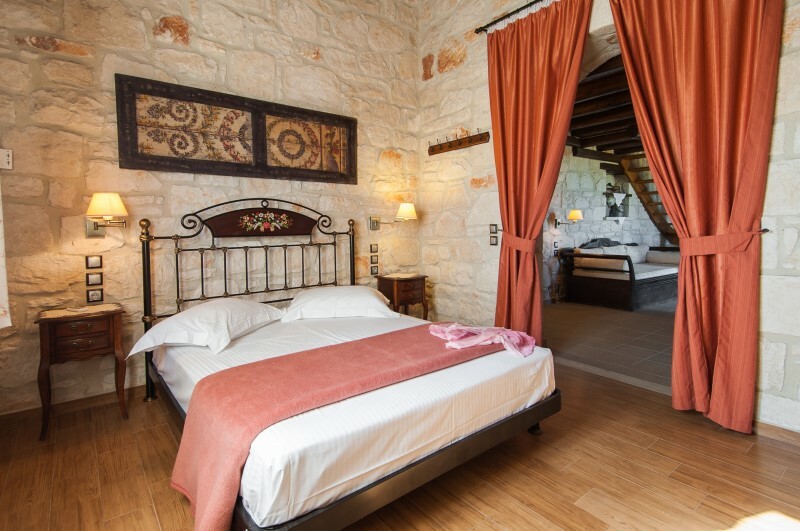 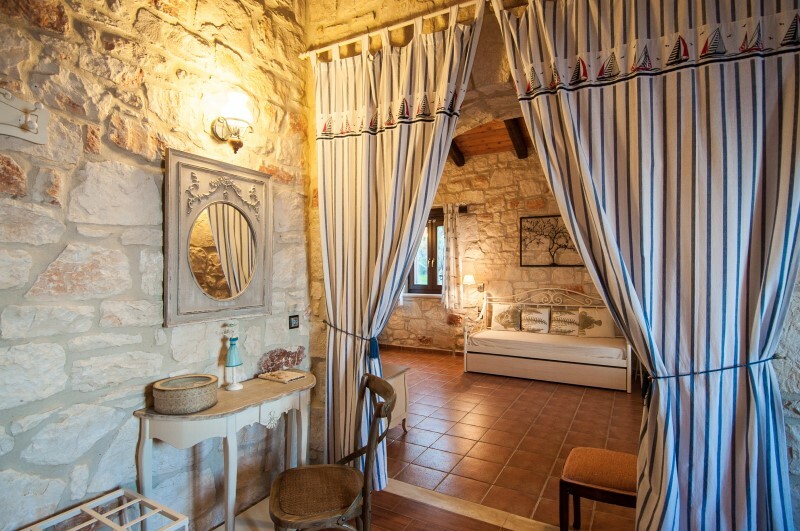 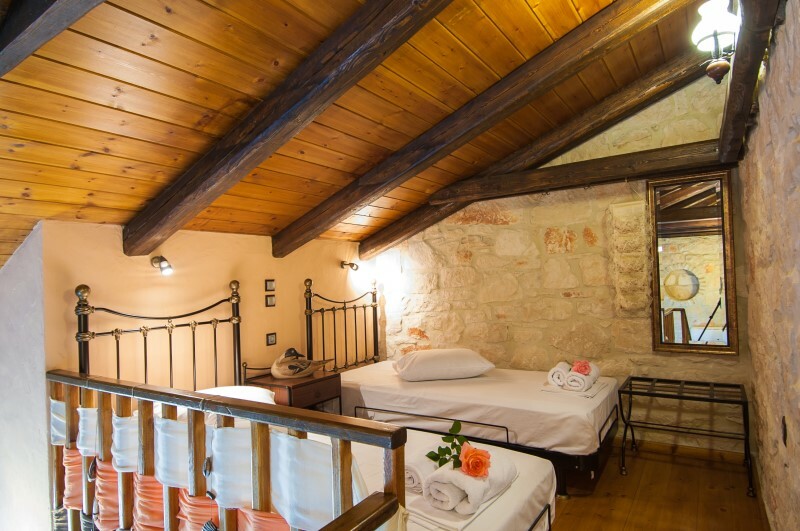 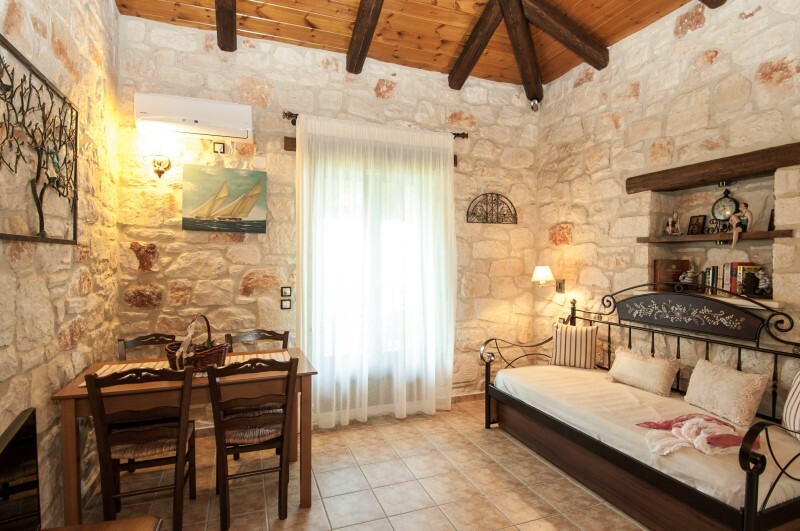 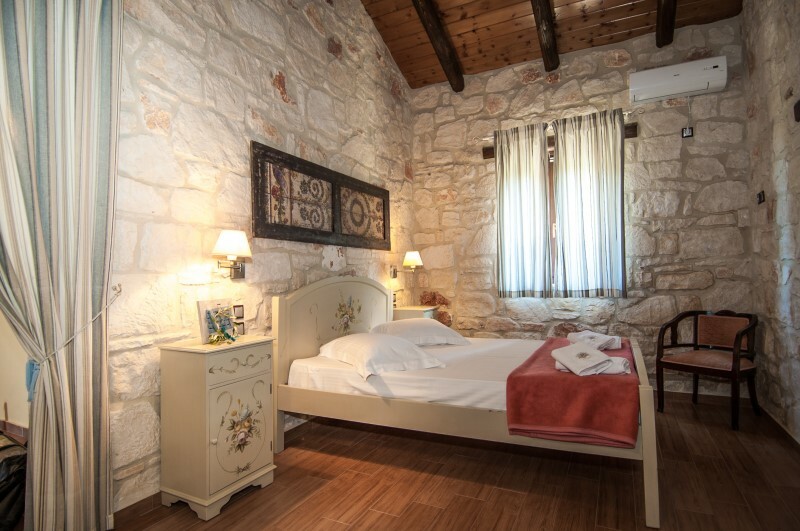 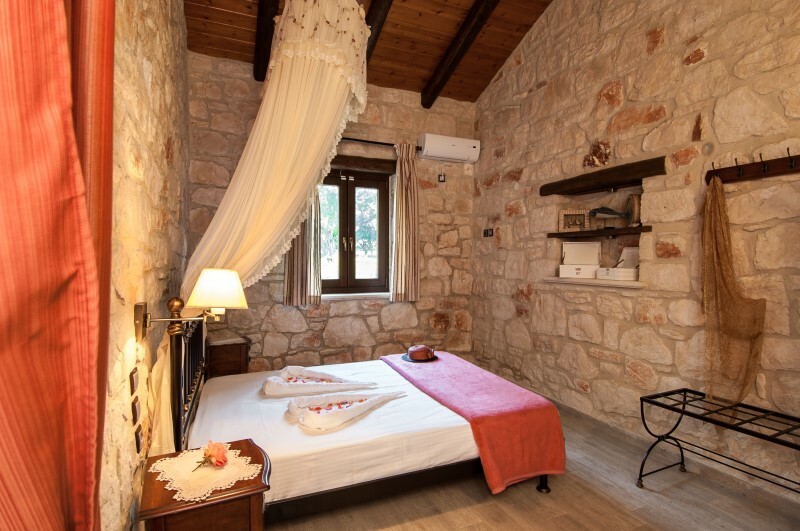 This villa includes an attic with a bedroom and one more bedroom in the ground floor. 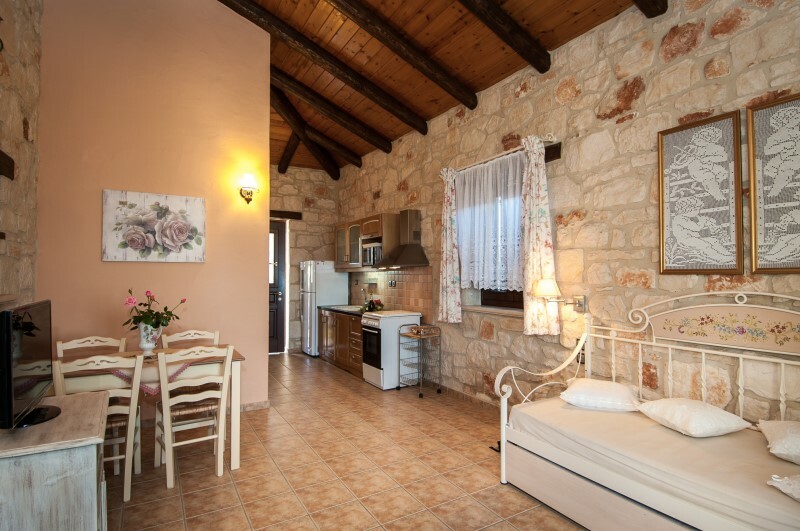 It can accommodate up to 7 people.